Do pesky dropped stitches give you heart attacks? Do you rip back to the beginning instead of fixing a mistake in the middle? And just how do you do a three-needle bindoff? All of these questions and more are answered in our Fix It class! 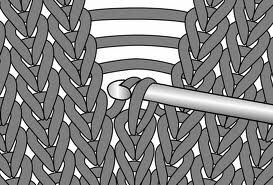 Your knitting will be a much more soothing experience after you have these tricks under your belt. In light-colored worsted weight yarn and with size 8 needles, c/o 20 sts, knit 20 rows, break yarn and place on a holder. Make 2 more swatches with the same number of stitches in stockinette (k1 row, p1 row).